I am endlessly intrigued by allusion to Jesus in literature. Intentional or inci-/accidental, affirmatory or critical – it all expands on the conversation; all highlights and reinforces the permeation of his shaping presence in reality. True, false, and other kinds of news radiated through the dormitory from these dense clusters. It was said that we would be allowed to go home first thing in the morning; that the government was engaged in a cover-up; that a helicopter had entered the toxic cloud and never reappeared; that the dogs had arrived from New Mexico, parachuting into a meadow in a daring night drop; that the town of Farmington would be uninhabitable for forty years. What a surprise it was to ease my way between people at the outer edges of one of the largest clusters and discover that my own son was at the center of things, speaking in his newfound voice, his tone of enthusiasm for runaway calamity. He was talking about the airborne toxic event in a technical way, although his voice all but sang with prophetic disclosure. He pronounced the name itself, Nyodene Derivative, with an unseemly relish, taking morbid delight in the very sound. People listened attentively to this adolescent boy in a field jacket and cap, with binoculars strapped around his neck and an Instamatic fastened to his belt. [...] People moved in closer, impressed by the boy's knowledge-ability and wit. It was remarkable to hear him speak so easily to a crowd of strangers. Was he finding himself, learning how to determine his worth from the reactions of others? Was it possible that out of the turmoil and surge of this dreadful event he would learn to make his way in the world? The young Jesus' deep insight into the Jewish scriptures and "his Father's" involvement in the world astounds all who hear him, even his parents, who could be supposed to know him best. His message, as it unfolds throughout and through his life, is one of wholeness and promise, transcending the hopelessness of circumstance. DeLillo's allusion to Jesus in the temple is canny; in evoking an already (relatively) well-recognised scene he is able to convey more than the sum of his own words. A wealth of history, scripture and religious tradition is brought into play with no need for laborious spelling-out. He gently suggests a subversion of the human hope for salvation, for something bigger than ourselves, for an intervention from a higher, greater, more loving Power. His child prodigy is a confident messenger of cold hard science: Nyodene D has come and, let's not beat about the bush here, it will have consequences. At the moment I've too much hope in Christ to be much troubled by DeLillo's challenge to the Christian hope, but I am keen to hear it, and I enjoy his literary devices in conveying it. Especially as the passage he alludes to is itself already bursting with allusion. 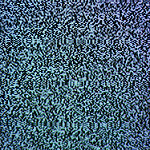 As in the case of White Noise, it's something of a 'compare and contrast' – there are similarities, and there are differences. Both births are unlikely: Jesus', because Mary is a virgin; Samuel's, because his mother Hannah has long been unable to conceive. Another striking similarity is that between Mary's 'Magnificat' (Luke 1:46-55; "...he has brought down the mighty from their thrones and exalted those of humble estate; he has filled the hungry with good things, and the rich he has sent away empty...") and the prayer of praise spoken by Hannah when she dedicates Samuel to the service of the Lord (1 Samuel 2:1-10; "...The LORD makes poor and makes rich; he brings low and he exalts. He raises up the poor from the dust; he lifts the needy from the ash heap..."). Both children, in some sense, 'belong' in the temple. In Samuel's case, his parents (Hannah and Elkanah) recognise this early on and make the bold and sacrificial decision to actually leave him there as soon as he is weaned, to serve under Eli the Priest (1 Samuel 1:21-28). Mary and Joseph find Jesus' special calling more bewildering to grasp – "Did you not know that I must be in my Father's house?" (Luke 2:49) – and Luke makes a point of saying that he honoured their parental authority rather than asserting his belonging in the temple (Luke 2:51). Both make an impact on their elders at their young age: "the Lord was with [Samuel] and let none of his words fall to the ground. And all Israel from Dan to Beersheba knew that Samuel was established as a prophet of the Lord" (1 Samuel 3:19b-20); "all who heard [Jesus] were amazed at his understanding and his answers" (Luke 2:47). And, as though to make sure that we have absolutely got the point, Luke closes the story by echoing almost word for word 1 Samuel 2:26: "Now the boy Samuel continued to grow both in stature and in favor with the LORD and also with man" (cf. Luke 2:52). I love the way that scripture opens up to these extended conversations – questioners, doubters, seekers, cynics, explorers, suggesters; I love seeing anyone dare to engage. We Christians have a tendency, sometimes, to fearfully elbow people out: this is 'our' conversation, and everything that needs to be said has been said already; what could be more dangerous than a 'new' idea at this late stage? But I don't think it is the nature of the Bible itself (in its complexity and vastness), or God (whose word it is, by our own insistence) to lock down the circle. He may be unchanging (cf. James 1:17), but we – our culture, our experience, our understanding, our plans and hopes and fears – are permanently shifting. God is not intimidated by our variability; the Bible is not silenced by the passage of time. T.S. Eliot wrote about the inevitably dynamic nature of literature – that the work of the present is influenced by that of the past but also impacts on that of the past – and a similar process, I believe, applies to scripture. As we think and say and ask new things, the Bible continues to speak back – words which are at one and the same time old and new. And right there, in the middle of the many voices, Jesus: still listening, still asking questions, still amazing many with "his understanding and his answers". A book I had promised myself as a treat once I finished Blood Meridian and Tess of the d'Urbervilles (great works – especially the former – but not, for me, great reads. More on that another time, perhaps). RSA is a popular asymmetric encryption algorithm, named after the three eminent cryptographers who invented it (Rivest, Shamir and Adleman). The analogy is inspired by personal experience, only with less confidence on my part and less eminence on the part of my audience. [Thumbnail image cc from Kyknoord on Flickr].